There are 14 meteorological stations in the sub-basin; two in South Sudan and 12 in Sudan. Nine stations are full met stations. 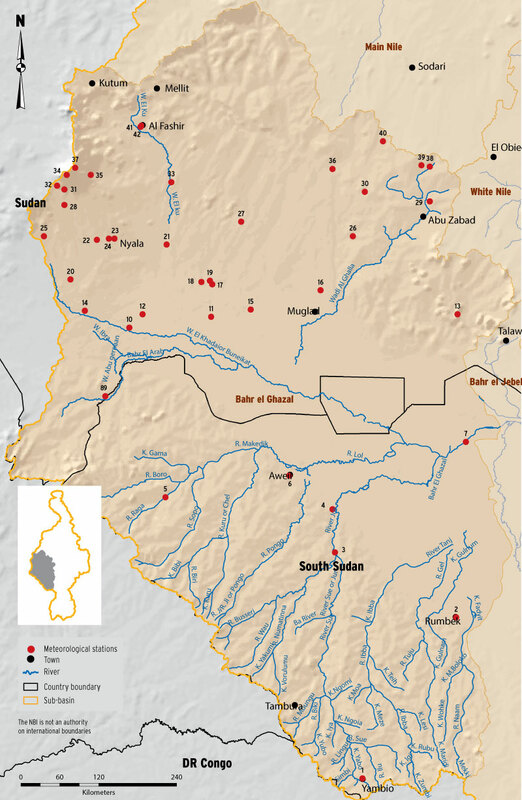 There is only one station in the sub-basin – on a tributary of the river at Wau in South Sudan. The map below shows the location of the station. The table adjacent to the map provides the list of hydrometric stations that were available but not operational and those newly proposed as part of strengthening the monitoring system in South Sudan. 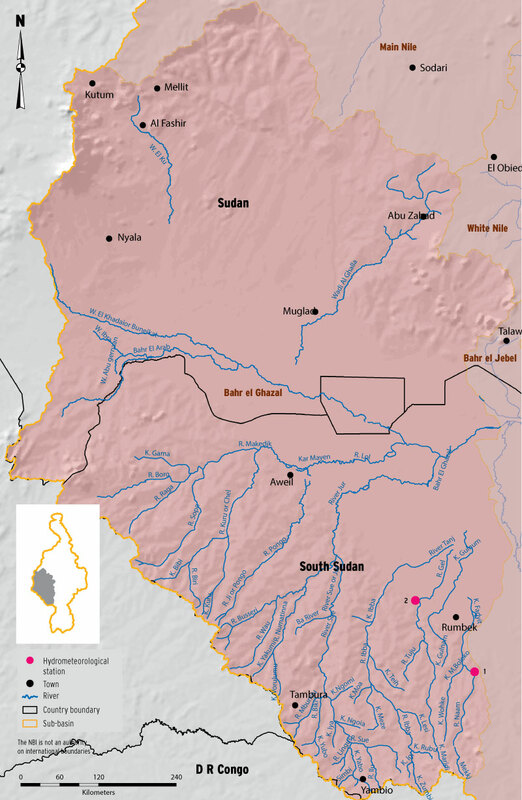 The Bahr el Ghazal is the least monitored sub-basin in the Nile Basin. As a result, the hydrology of the sub-basin is not well understood although indications are that the sub-basin has considerable water resources potential. A combination of ground – and remote sensing based observations of hydro-meteorological parameters are needed for the long-term sustainable management of the water resources of the sub-basin.